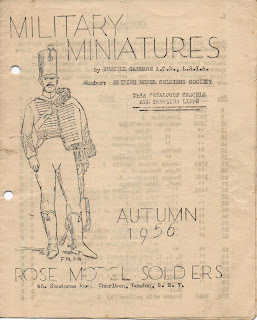 The pictures show the cover of the Rose Model Soldiers catalogue from Autumn 1956., and the section inside for the two War Game figures, advancing Waterloo English soldier and French Napoleonic Guard. There is no reference to the Wellington figure. Wellington appears in the 1958 catalogue as BR100.